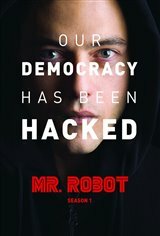 Elliot (Rami Malek), who works full time as a cyber security engineer, is a hacker at night. He's recruited by Mr. Robot (Christian Slater), the mysterious leader of an underground hacker group, to destroy the company he's paid to protect.